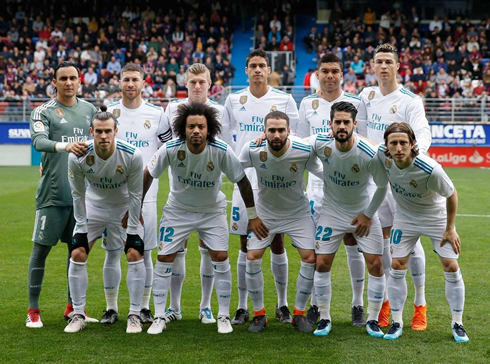 Real Madrid repeated their midweek result this Saturday morning, as they travelled to Eibar and defeated the hosts 2-1 in another La Liga fixture. Cristiano Ronaldo bagged another 2 goals to his records and has now 18 goals in the league this season. 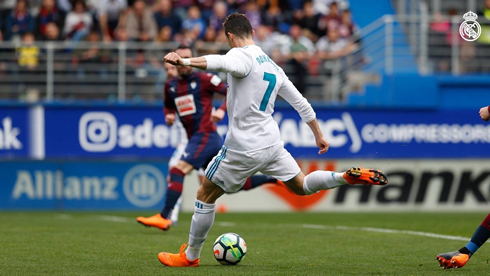 Real Madrid brought home the 3 points after a morning visit to Eibar this Saturday, in a game where the Merengues relied once again on Cristiano Ronaldo's prolific scoring record in the past few months to beat Eibar 2-1. The 5-time Ballon d'Or winner scored his side's two goals in this game, the first a clinical finish with his right foot and the second a powerful header that would only stop at the back of the net. That's 13 goals in his last 7 games for Ronaldo and he scored in every single one of them. If only someone could have guessed Ronaldo was going to revive his scoring spree at the end of last year, he could have capitalized by using this bonus code and invested on Ronaldo still winning the Pichichi this season. Zinedine Zidane's men are now 4 points behind Atletico Madrid and 12 behind Barcelona, but both still have 1 game in hand. What did we say about counting Cristiano Ronaldo out? The answer is, that you can't do it. Again and again and again, he's in scorching form right now! 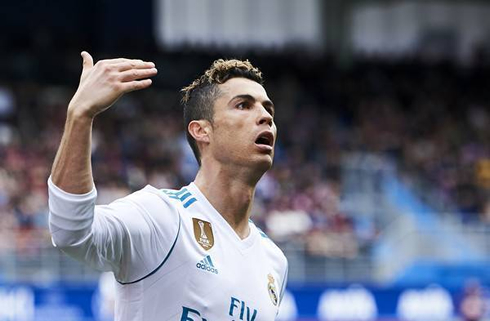 Another double today and the match winner took Madrid past a hard-working Eibar side that made things very difficult for Los Merengues away from home. In fact, if we're being honest, Eibar were the better side all match long as they consistently put Madrid under pressure and without Keylor Navas in great form, it certainly wouldn't have been a victory today. But of course, all eyes will be on Ronaldo yet again. An opening strike in the 34th minute was supplemented with the match winner just six minutes from the end. That's now 17 goals in the last 10 matches for a player that was supposed to be finished and on the decline. The first goal came from the boot of Modric. His patented outside of the foot pass found Ronaldo running in behind the defense. 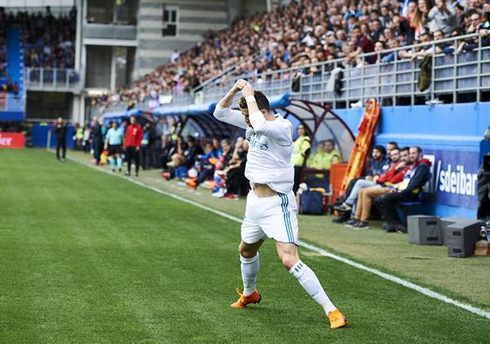 Ronaldo took it down on the chest in stride and brilliantly slotted it home past the keeper. Eibar however, have become a formidable side in the league and they're not going down without a fight. When Ivan Ramis' header early in the second half tied the game up, Madrid fans would have been forgiven for thinking it was going to be yet another setback in what's been a frustrating league season so far. But alas, Ronaldo would be there again. A give away at the back freed up Dani Carvajal and he perfectly spotted a darting Cristiano flying into the center of the Eibar box. Perfectly placed between two defenders, Ronaldo released a bullet header right into the net. Game, set, match. 2-1 and Madrid can now return home after what was quite a busy week. Up next is Girona at the Bernabéu, eight days from now so the team will get a well-deserved rest. Girona handed us a loss earlier this year in what was the worst stretch of the season so hopefully, we can enact some revenge. Attackers: Isco, Bale, Cristiano Ronaldo. Cristiano Ronaldo next game for Real Madrid is on March 18 of 2018 against Girona. You can watch Juventus live stream, Real Madrid vs Girona, Malaga vs Barcelona, Bournemouth vs Tottenham, Arsenal vs Watford, and Inter Milan vs Napoli, all matches provided from our soccer live game pages.